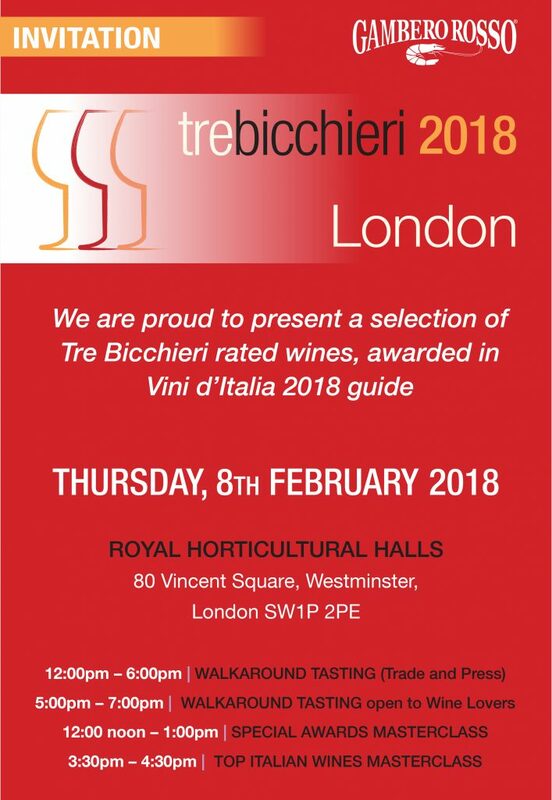 We flattered to take part in this amazing TRE BICCHIERI GAMBERO ROSSO event in London on February 8th. We will be pouring our awarded 2012 BAROLO RAVERA BRICCO PERNICE. Looking forward to meeting you in London!